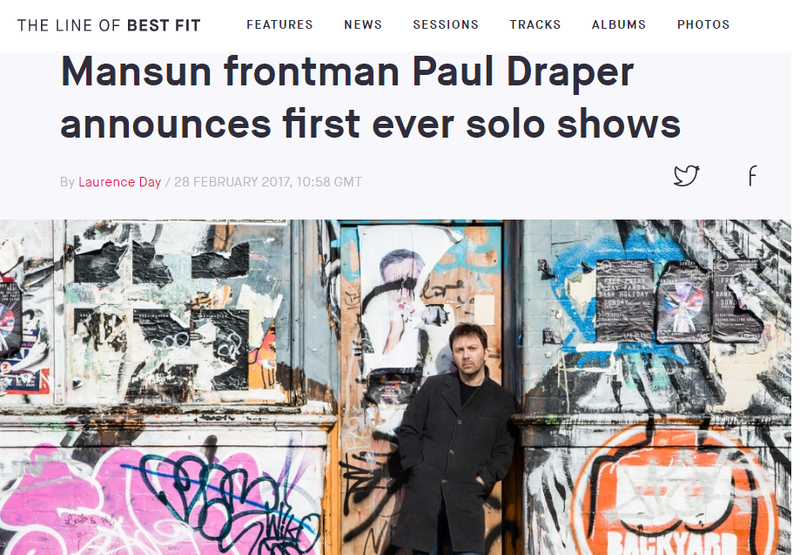 Tickets for the tour go on sale at 9am on March 3rd, and can be bought at http://pauldraperofficial.com/tour-dates/ . Early purchase is advised as demand is expected to be very strong. The full ‘Line Of Best Bit article’ can be found HERE .